An external North American cable TV tuner with three or six independent tuners, interfaces via ethernet, and supports CableCARD. See Silicondust_HDHomeRun for other models available. The Hauppauge DCR-2650 is a similar, USB-based CableCARD tuner manufactured by SiliconDust. 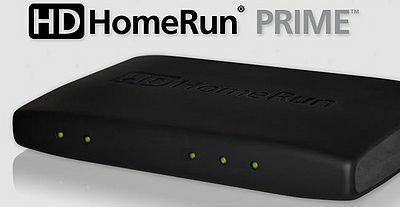 The Prime is essentially SiliconDust's HDHomeRun tuner with over-the-air ATSC support removed and CableCARD support added. (It thus retains the HDHomeRun's ability to receive clear QAM channels without a CableCARD.) Unlike the Ceton InfiniTV 4 the Prime does not require a PCI slot; it has an Ethernet port instead. Full support of CableCARD requires that every device and software in the recording chain be certified as enforcing the copy protection mandated by the software. For insurmountable technical reasons, MythTV cannot comply with this. Because of this, the HDHomeRun Prime will only allow MythTV access to those shows that are not copy protected. These copy freely shows may be encrypted and inaccessible to a standard QAM tuner, but will be decrypted and made available through the HDHomeRun Prime. These are the same shows that can presently be accessed through firewire capture from a cable box. While a digital tuner, CableCARD does not support the kind of access needed by multirec to record multiple shows from a single tuner. This device can only record three (or, for the rackmount version using two CableCARDs, six) shows at a time. Connect coax cable between HDHomeRun Prime and cable wall outlet or splitter. Connect Ethernet cable between HDHomeRun Prime and router. Insert M-CARD obtained from your cable provider. Connect the power adapter to the HDHomeRun Prime and a power outlet. 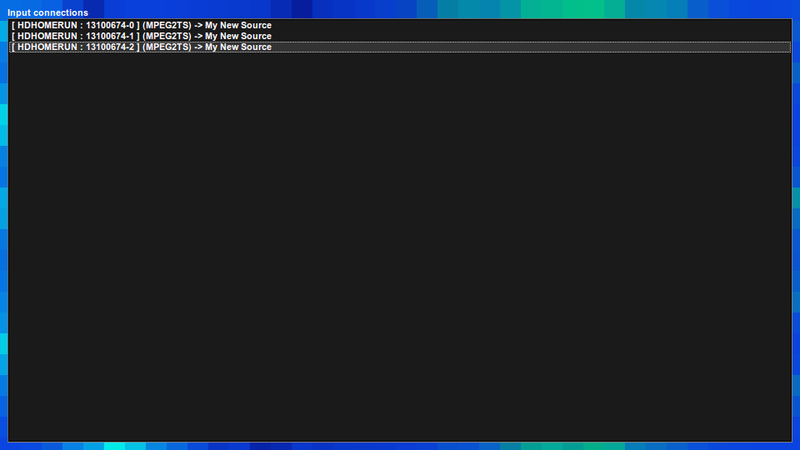 Note: It is good practice to not proceed until the HDHomeRun is discovered by mythtv-setup. Mythtv-setup allows configuration of an undiscovered tuner by IP address, but if the HDHomeRun is not discoverable by the backend, then recordings will fail with only uninformative error messages in the backend log file. It is possible that the firewall on the backend is blocking discovery. The Prime has an internal Web server that provides configuration and status information such as signal strength and copy protection. NOTES: This display is for a CableCARD that has been paired, so yours will be different. If the HDHomeRun Prime reports no CableCARD, you may have inserted it incorrectly. You will of course have inserted it with the label up. However, the HDHomeRun Prime is quite symmetrical -- with cooling holes on both top and bottom. Its bottom side has a serial number label and four tiny feet. Make sure the serial number label and the CableCARD label are on opposite sides. Contact your cable provider's CableCARD activation hotline (see http://www.silicondust.com/forum2/viewtopic.php?f=44&t=10490) and recite numbers from the pairing status page as requested. When they claim the card is activated, refresh your browser and note any changes. 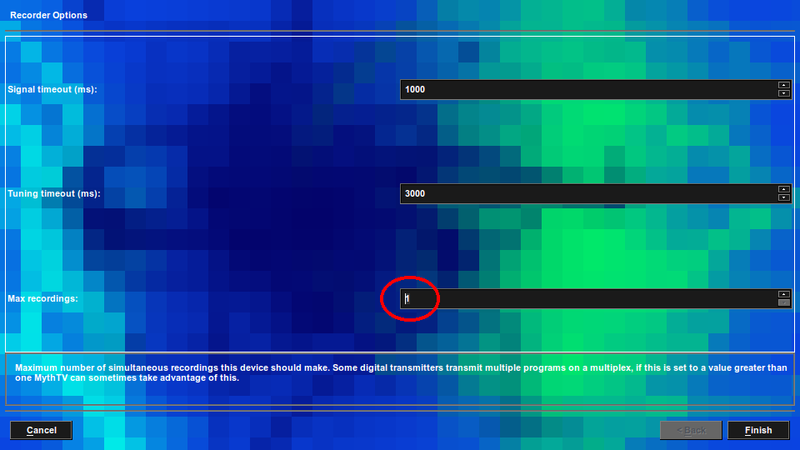 The first number in each row is the program number within the physical channel. The second number is the virtual channel number assigned by the cable provider. Click on one row, then "View" to start up VLC on that program. 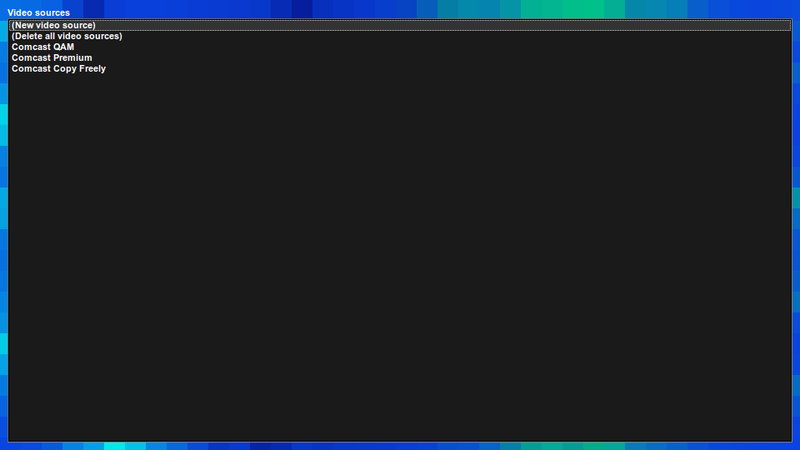 You can use the command line tool to record a channel scan. It's a good idea to sign up for program listings, e.g. from Schedules Direct (https://www.schedulesdirect.org). Configure your lineup, and "enable" all the channels you are subscribed to. In mythtv-setup, navigate to Capture Cards. It's time to create our HDHomeRun Prime devices. 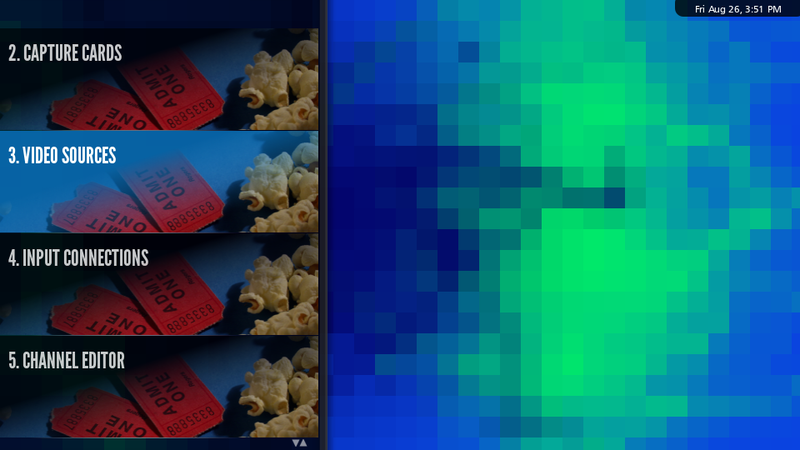 Select the HDHomeRun DTV tuner box card type. From the Available devices list, select the first autodetected tuner device, with a string like: "0123456789-0". Change Max Recordings to 1. When in CableCARD mode, the HDHomeRun is only able to record one program per tuner. Press Finish. Press Next, then Finish to return to the tuner list. Repeat the last three steps until you have a capture card representing each tuner in your HDHomeRun Prime device. Press Escape to return to the main menu. Select the Video Sources menu item. 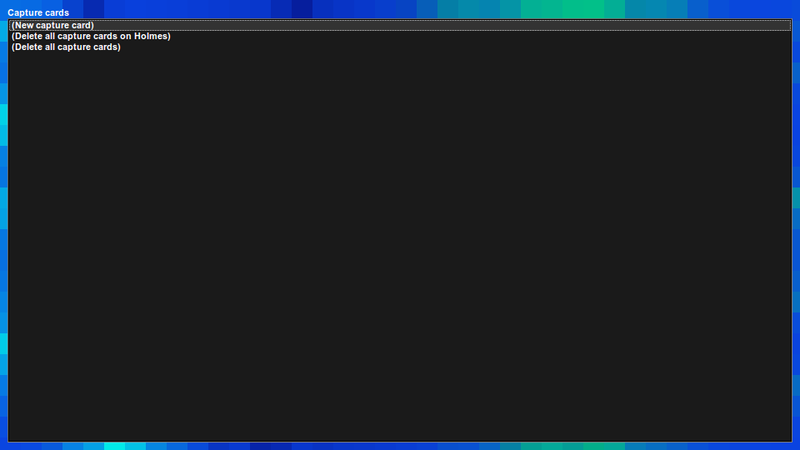 Give your Video Source a name. Here we named it "My New Source." Select Schedules Direct as your listings grabber. Input your User ID and Password from Schedules Direct, then press "Retrieve Lineups." In a few moments, you should see the Data Direct lineup box filled with values representing the lineups you have configured at the Schedules Direct website. 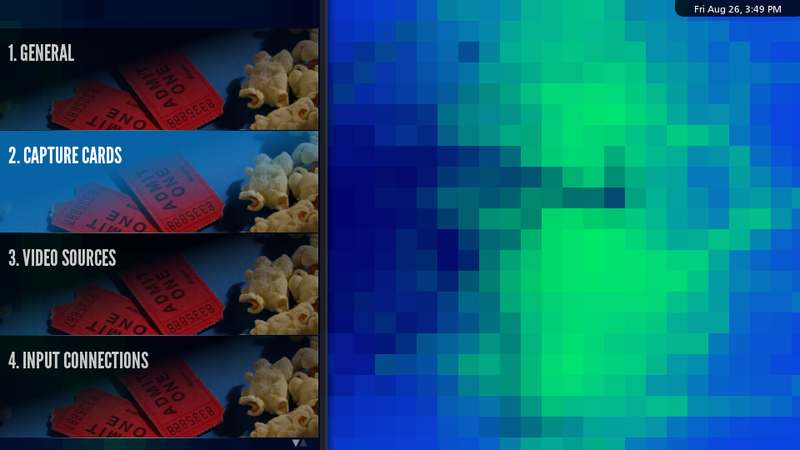 Select the one which contains the channels found on your HDHomeRun Prime. This Lineup should be the one with channel numbers which are the same as the ones found on a cable box. You should have a list of HDHomeRun tuners which looks something like this. Highlight the first tuner and press Enter. Give your tuner a descriptive name. Change the Video Source to the one we just created. Press Fetch channels from listings source. You will see Starting channel read Please add channels to this source. You can press Next, then Finish. Press enter on the same tuner, and you will find that you can now successfully set a starting channel for this tuner. 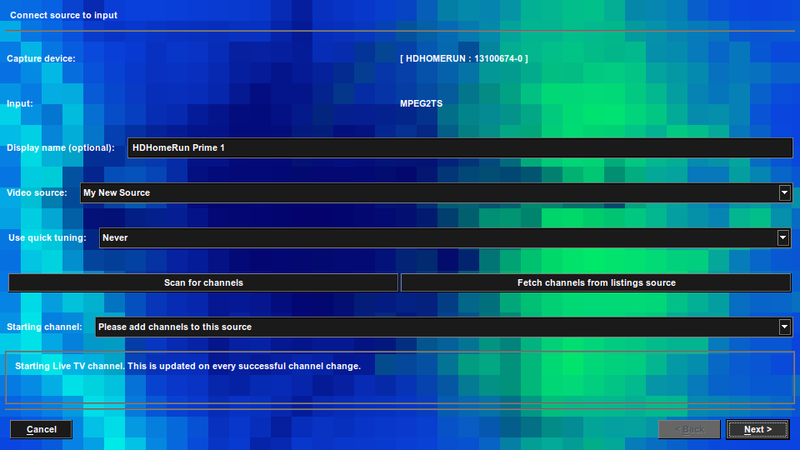 Repeat the last step until the video source you created is attached to all of your HDHomeRun Prime tuners, and each is set to a valid starting channel, as in this screenshot. Make sure Max Recordings is set to 1 for each tuner. See Capture Card Setup > Recording options for each of the three tuners in the Prime. MythTV, with other versions of the HDHomerun, can record more than 1 program per tuner but not with the HDHomerun Prime. I'm not able to tune any of my channels! The OSD simply says "Partial Lock" and "LAMc". What gives? A lock message of LAMc indicates the channel is encrypted and untunable. There are multiple possibilities. Either the channel might not be copy-freely, and thus is uncapturable in MythTV, or your CableCARD may not have been properly activated. Check your HDHomeRun Prime's Web page (by bringing up its IP address in a Web browser). Click Status Menu. You should be able to see the tuner which is currently recording, and the channel to which it is tuned. Click the link for that tuner number at the top. The value for Authorization should be subscribed (A valid value in some cases is "unspecified". If a non-working channel says "unspecified", see what appears for nearby working channels before assuming that it indicates an error.) and the CCI Protection should be unrestricted. If either of these values are different, and you are certain your CableCARD and HDHR Prime are properly paired, then this channel may not be capturable in MythTV. A value of "unknown" most likely means that your card is not properly provisioned. For clear QAM channels (channels which can be tuned with any QAM tuner), Authorization may be unknown, but the channel may still be capturable. Because many technicians (even those allegedly trained on the subject) are unfamiliar with CableCARD setups, particularly with devices like the HDHomeRun Prime, there is a good chance that you will have to call your cable provider a couple of times to get things worked out. If a regular reset doesn't work (sometimes it can take more than one to "stick"), ask for a "Cold Hit", "DAC Init" or "Grand Slam Init/Hit". For some reason, the phone representatives are hesitant to try these, so be insistent. The direct number to the Comcast CableCARD activation line is 877-405-2298, which should connect you directly to a human. Don't bother calling the number that your device recommends; that is just the normal customer service number. I want to use the Prime only to tune in Clear QAM channels. The PrimeUpdateScript will be of interest. My recordings are being mysteriously truncated. 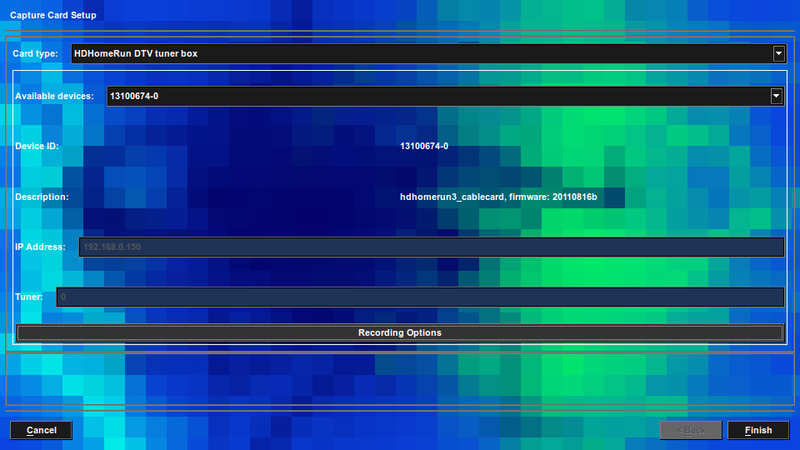 Check for packet loss, see the Troubleshooting section on the Silicondust HDHomerun Dual page. You can get a lot of information from the web interface on the hdhomerun prime. You can look at the logs, and if you are tuned to a channel you can look at information about the channel. Also you can get a listing of all of the channels that the hdhomerun knows about. 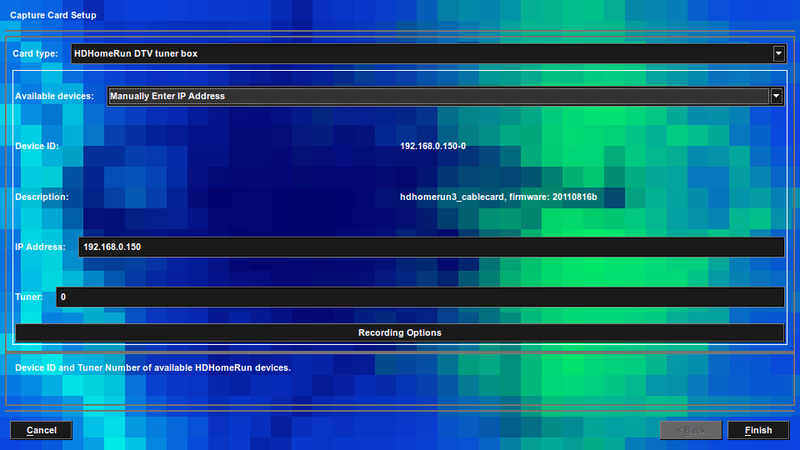 If you know the ip address of your hdhomerun, just point a browser to it. If that doesn't work, you can tune to virtual channels and see what the CCI and other information is using the hdhomerun_config tool. I had an issue where some of my channels weren't tuning, and I powercycled the hdhomerun and it started working. 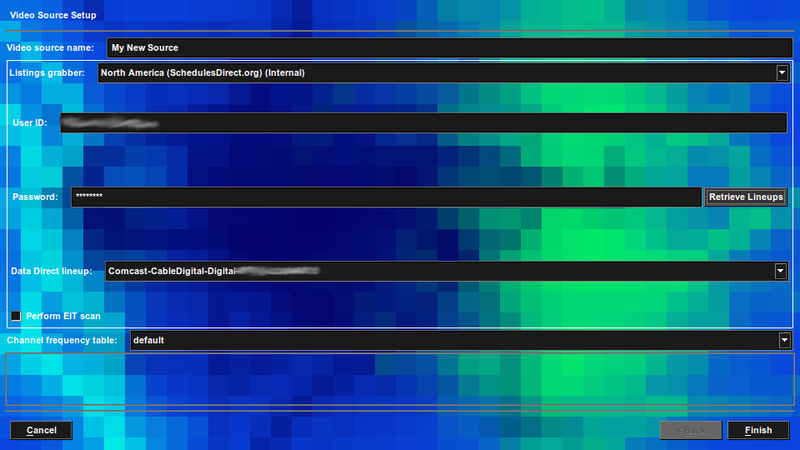 Sometimes DRM may affect tuning some channels. The channels you lost are likely being protected with the "One Copy" protection scheme (or other) that requires DRM to allow access to the stream. This page was last modified on 19 January 2019, at 16:34.